Wine serves as one of life’s finest simplicities; however, the process to provide this superior product is intricate. From vine to table, Florida wineries specialize in producing not only first-class creations but also quality customer service. This concept has rang true for centuries, as Florida’s rich soil and rolling hills have welcomed winemaking since Spanish settlers crafted the first American wine. At King Insurance, we secure protection for this valuable, historic Florida industry. Our comprehensive winery insurance package encompasses coverages to place a stain on exposures and mitigate associated risks. The finest Florida winemakers deserve the finest insurance protection. As a result, we partner with a collection of trusted national carriers. This partnership translates into personalized service for our clients through a local agent, alongside a reliable insurance product. Just like the quality of wine sets your winery apart, access to a plethora of carefully selected carriers sets King Insurance above the rest. Our agents display a high acumen for the insurance and winemaking industries. This knowledge is showcased in the winery insurance policies we write. Components of oenology, sophisticated equipment, staffing, and special events can be included within these policies, depending on the needs of your operation. We enjoy the process of learning more about our clients’ wineries, and use this information to determine appropriate insurance selections. A traditional wine insurance policy pours in property insurance coverage. 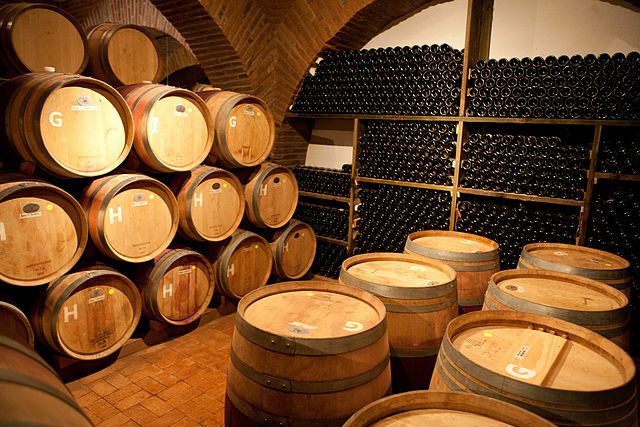 Through proper property insurance, we can insure structures used for processing, warehousing, and tasting wine. Winery property insurance may also contain theft of tools and equipment – located on our outside the insured premise. We can even secure your precious cargo while it’s in transit. If your winery frequently hosts fellow Floridians for events, special event coverage may be required. Agents will also plant the seeds for liability coverage, with offerings such as product liability and liquor liability accessible. To get another dose of winery insurance information, contact our agency at your convenience. From boutique wineries to expansive wine facilities, we are prepped to provide adequate insurance coverage. A singular grape of protection can lead to a vine of business growth. Our agents are enthusiastic to contribute to the continued progress of Florida wineries. Similar to winemaking, the process of securing insurance coverage doesn’t consist of just a one-step purchasing process. Instead, it’s an ongoing process of ensuring accuracy and confirming rates remain competitive. Agents take the reins of this aspect through continued communications and support. If you’re ready to start filling your glass with dependable insurance coverage, feel free to request a quote. At King Insurance, we’re proud to offer winery and vineyard insurance to serve a collection of states, including Alabama, Florida, Georgia, New Jersey, New York, North Carolina, South Carolina, Tennessee, Virginia, and West Virginia.